During their Monday, April 8, meeting, the Caribou City Council voted to not have the Caribou Ecumenical Food Pantry be responsible for plumbing expenses that have arisen at the city-owned property at 60 Access Highway, where the pantry has tried unsuccessfully to relocate in recent weeks. CARIBOU, Maine — During their Monday, April 8, meeting, the Caribou City Council voted to not have the Caribou Ecumenical Food Pantry be responsible for plumbing expenses that have arisen at the city-owned property at 60 Access Highway, where the pantry has tried unsuccessfully to relocate in recent weeks. On March 25, councilors voted 5 to 2 in favor of leasing 1,300-square feet of space in the former Micon building to the food pantry at $1,300 a year, with an additional $7,000 to fix plumbing issues. Pantry officials also were to be responsible for any utility costs above historic uses each month. But as of April 8, the food pantry representatives had not signed that lease, citing their inability to pay the $7,000 expense due to their status as a nonprofit organization. 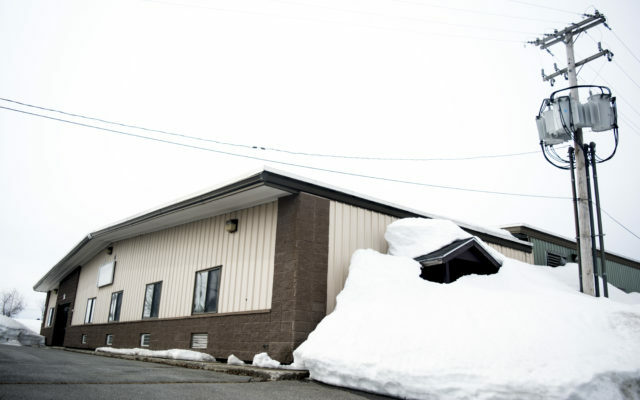 Volunteers have attempted to find a safe location to store food and serve clients since Saturday, March 16, when the roof on their 49 Herschel Street location sustained major damage from melting snow. Barbara Aiken spoke on behalf of the pantry on Monday and told councilors that the pantry typically serves 15 clients per day on Tuesday and Thursday of each week. After finding out about the 60 Access Highway building, she and volunteers worked to clean the space and called an electrician to ensure that there were adequate receptacles and power to operate their refrigerators and freezers. The only thing the pantry volunteers had to do at that point to secure their new location, she said, was sign a rental agreement with the city council. Aiken stated that she and other volunteers were “disappointed” that the council’s approved rental agreement called for the pantry to pay the $7,000 expense and to possibly vacate the premises within 45 days if the city sold the building during the period of their one-year lease. The city purchased the 35,000-square-foot building on Access Highway for $740,000 in 2005 using two federal grants of $350,000. The Maine Military Authority, an organization that dissolved in 2018, contributed the remaining $40,000. On March 25, councilors voted to authorize city manager Dennis Marker to contact the U.S. Department of Agriculture and notify them of their intent to sell the property. The USDA. will then recommend the next steps for the city to determine the property’s market value, which is unclear at this time. Aiken asked the city to consider rewriting the rental agreement to excuse the food pantry from the plumbing expenses, which are mainly needed for the building’s bathroom facilities. She said that the pantry currently pays $350 per month in rent and relies on $200 per month from five area churches, volunteers and donors for income. City councilor Joan Theriault spoke in support of the food pantry and stated that although discussion about the Access Highway building was not on the meeting agenda she wanted to see the issue resolved. Caribou fire chief Scott Susi said the state fire marshal is legally required to review and approve the bathroom repair plans because any building open to the public needs to have accessible bathrooms for both employees and members of the public. Even if an organization such as the food pantry relies solely on volunteers, state building codes still consider those people to be employees and require that they have access to bathrooms and rest areas. Councilor Thomas Ayer said he considers the $7,000 price tag to be rather high and suggested the city receive secondary opinions from other contractors about the state of plumbing issues. “Ken and I went through the building and the damage is not as bad as we thought it would be,” Ayer said, referring to city code enforcement officer Ken Murchison. Murchison, who is on the board of directors for the Bread of Life Soup Kitchen in Caribou, said that the soup kitchen has agreed to help the food pantry volunteers serve clients from their site and thanked Dixie Shaw of Catholic Charities for storing food packages at her refrigerated warehouse in Caribou. “We also have an empty room where we can store food and help them with their weekly distributions,” Murchison said. City mayor Mark Goughan apologized to Aiken and other food pantry volunteers, who were present during Monday night’s meeting, for the slow process in repairing the bathrooms in the Access Highway building and supported a motion that would amend the rental agreement. “This is an ever evolving issue and we really do appreciate your patience,” Goughan said. Councilors voted unanimously to draft a revised rental agreement for the food pantry, which they will present to volunteers at a later date.